Reviewing two bikes like these ones is always fabulous. It is actually like organizing a super match between the two best warriors our planet has ever had. The BMW s1000RR and Yamaha R1M are two beasts with fantastic properties. These two machines of 1000cc are propelled by four cylinders in line and managed by a sophisticated central electronic system having close to same horsepower making one think if it isn’t just a copy and paste production stuff. From a point of view the BMW has succeeded to impose a distinct countenance with its asymmetric optical headlights which do have angular faring lines. This true sport bike offers a recognizable profile, which is quite successful. The R1M is the archetype motorcycle racing contemporary with fine, light and hyper powerful properties. It is a beautiful bike perhaps the most beautiful current production. These two bellicose offers an arsenal with an impressive electronic aid, a sharpened part cycle, an explosive motorization and receive an exceptional weight/power ratio of 1:1. They have a great build up as far as their bodywork is concerned with distinctive features. The dimensions and chassis are different with the s1000RR being dominant in almost all features. With the s1000RR weighing 4kg more than the R1M, it is slightly longer than the R1M by just 1 mm and its overall width of 825 mm is by far greater than the 690 mm of the R1M. It also has a wheel base which is greater than that of the R1M by 22 mm. 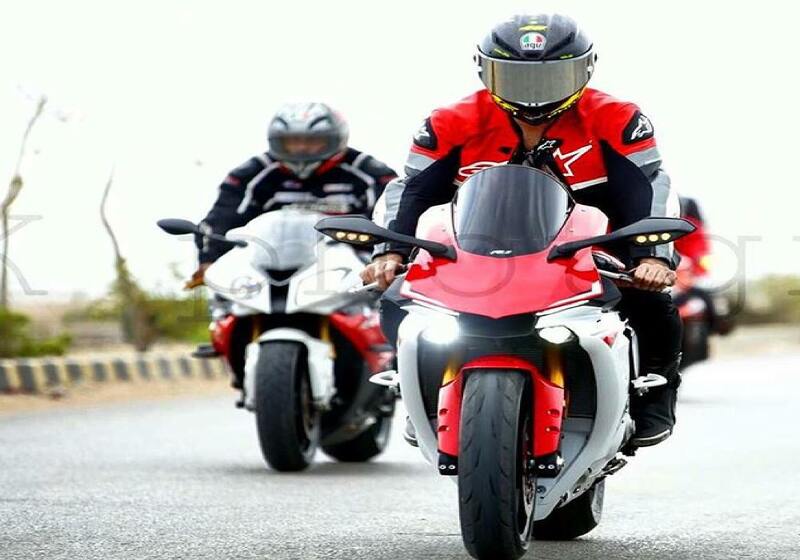 However, the R1M, has a height of 1,150 mm which is quite above the 1,138 mm of s1000RR, the ground clearance of the R1M is 130 mm and that of the s1000RR is 120 mm. How motorcycle system achieves traction? As far as their engine and transmission are concerned, the BMWs1000RR has displacement of 999cc having four cylinders, with a maximum power of 193 bhp at 13,000 rpm. Its maximum torque is 112 Nm at 9,750 rpm. It has a bore of 80mm, stroke of 49 mm and it cooling system is water-cooled. 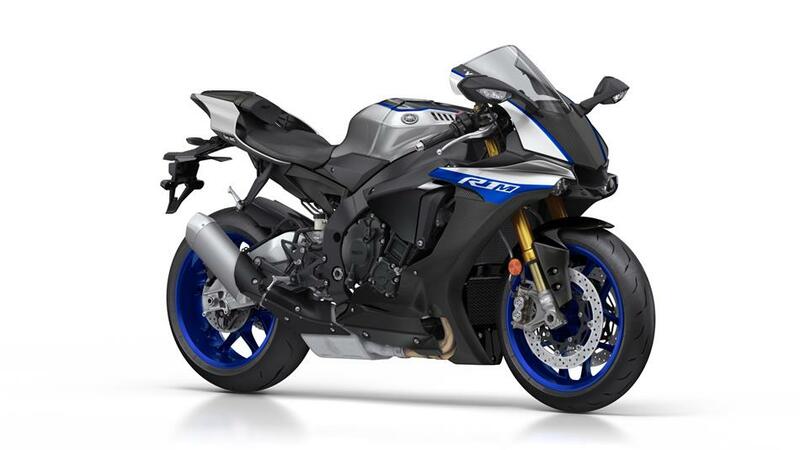 Whereas the Yamaha R1M has displacement of 998cc. Four-cylinders as well with its engine having maximum power of 197 bhp at 13,500 rpm. Its maximum torque is 112 Nm at 11,500 rpm. They both have the same number of gears, a manual gearbox type and a chain drive transmission type. Same with the brake type, front disc which has a size of 320 mm and a rear disc with size 220 mm. As for the front suspension, the BMW s1000RR has a 46 mm upside-down fork and a cast aluminum swing arm rear suspension whereas the R1M has a 43 mm telescopic forks for its front suspension and a swing-arm for its rear suspension. The BMW is easy to tame in the permissive fashion mode, this is thanks to its fantastic electronic aids which is customizable in every sense.It tends to raise its front wheel to acceleration more than the Yamaha in the same conditions. Whereas the R1M is more difficult to control with such adjustments. The accelerator is sensitive and it is more difficult to keep the bike at constant gas which makes riding harsh and destabilizes the motorcycle particularly in tight turns. The acceleration of the s1000rr is sensational. Gradually as the needle of the tachometer climbs to the red zone with an impressive velocity the four-line Munich roars furiously. The s1000RRs has redefined its piston with an outrageous dominance as far racing is concerned. Its hyper powerful engine, its sharpened chassis and effective electronic aids are simple to use. This bike an amazing tract racer which makes one get an almost mystical experience. The s1000RR is proposed at 21.40 lakh (ex-showroom) price. The R1M is the issue of the tract, that’s where it excels and offers the best of itself. The R1M is easy to drive quickly and provides a great link on the ground making a path where it would like to spend most of its time on. The R1M is clearly a sportive bike before being a street exception. The hyper stable and handy R1 inspires confidence and great performance. It is being offered at 18.16 lakh (ex-showroom); price and it appears almost like a bargain in view of its performance and its level of technology.